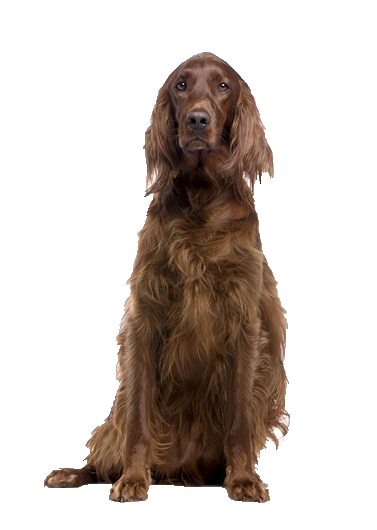 Happy go lucky and a real head turned, your Irish Setter is a playful, affectionate loyal member of the family. His easy going nature makes him a joy to have around and he thrives off the company of other people, children and dogs. He will still require firm training, especially when it comes to recall as he may develop selective hearing when called to come back, especially if he is enjoying himself! This wild streak needs to be reined in, with tools and treats to make the procedure enjoyable. We can help with our assortment of luxury and chew toys to suit any preference.